Since we are hard at work opening our FEED Shop & Café in DUMBO, we’ve become a bit obsessed with all things Brooklyn. 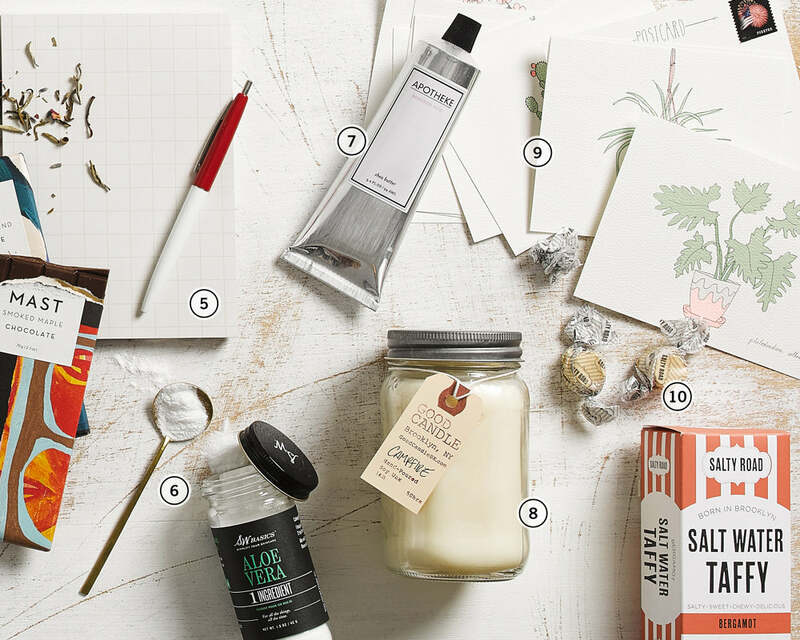 In the spirit of celebrating the best of our new hood, we compiled a list of must-have conscious buys that are created by local makers in Brooklyn. Minimalist in design, but generous in size, this notepad is perfect for housing your copious amounts of meeting notes and to-do lists—or for simply looking great with your desk aesthetic. We’ll be shamelessly using ours for the latter, but either way, it’s assembled with love in Brooklyn. In addition to the fact that we love saying the name of this Shea butter cream by Apotheke, it smells incredible. With rosewater, peony and white rose petals, this buttery cream moisturizes without leaving an oily residue. One person on our team has this for her bag, desk drawer and bedside table so that she’s never without it. 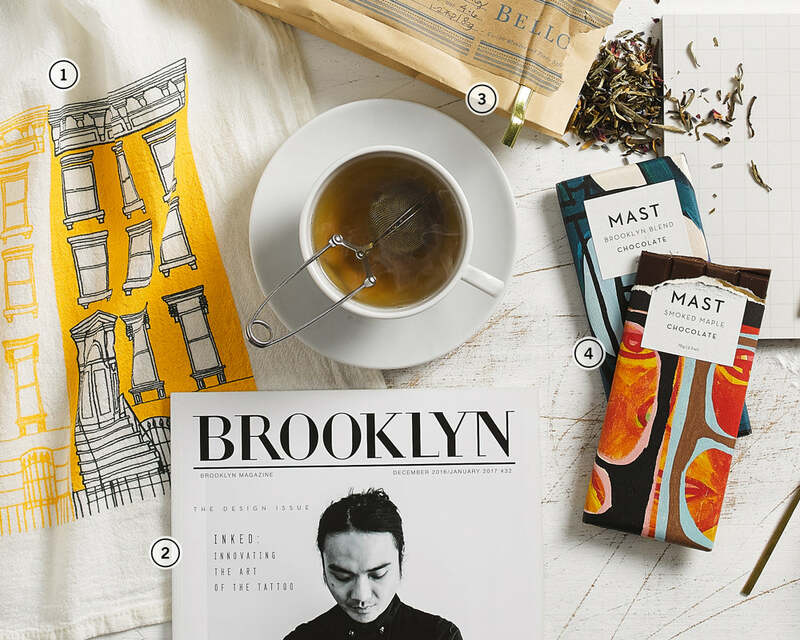 Now that we are officially locals, we feel the need to read up on all things Brooklyn. The perfect and most aesthetically pleasing solution? Brooklyn Magazine. Covering everything from news to fashion, film and fitness, BK Mag is our new go-to resource. These are the tea towels of Brooklyn brownstone powder room dreams, but until those dreams come true, these will be at home in our office bathroom. Made of flour sack, a fabric that has been used for generations, these delightful towels are 100% cotton, light, and dry quickly. In need of thank you notes? Get well cards? Birthday cards? Cards just to say Happy Tuesday? These will do the trick. Printed in Brooklyn on felted paper and featuring different types of house plants, these trendy postcards are perfect for any occasion. If you love Earl Grey tea, you’ve got to try this bergamot-flavored salt water taffy. (Hint: Bergamot is one of the main flavors in Earl Grey.) Or maybe you shouldn’t actually, because since we’ve had a taste, we can’t stop eating them. Salty Road is the only company making this flavor and—you guessed it—they make it right here in Brooklyn. We’d be lying if we said that we had skincare routines as no-fuss as this one, but we are trying to get there. Apparently by using this organic Aloe Vera Powder—one of the most healing natural skincare ingredients in existence—and adding just a bit of water, you can create the only face-mask and cleanser you’ll ever need. At FEED HQ we drink a lot of coffee. But when we want a great cup of tea, Bellocq Tea Atelier is our first choice. Bellocq is tucked away in a quiet corner of Greenpoint, Brooklyn, providing expertly crafted blends that are assembled by hand. We love urban life as much as the next New Yorker, but sometimes we just need a little bit of the great outdoors. Made from 100% American grown soy wax, and hand poured in Brooklyn, this candle smells exactly like our favorite thing about the outdoors: campfires. Close your eyes and you’ll almost be able to feel the warmth. Chances are you’ve been lured into purchasing a Mast Brothers Chocolate bar at least once because of their pretty packaging. If you have, you know that once you unwrap the artwork, the chocolate underneath is even better. We are partial to the Brooklyn Collection ourselves.